Torque is the main concept of physics that is used in Brazilian Jiu Jitsu as it a great method when causing an opponent to submit. This martial art uses leverage and force to apply joint locks and chokeholds on the competition. In this sport size is not a skill-determining factor as a smaller competitor can inflict pain on his/her larger competition due to the use of torque. Many of the moves involve exceeding the motion (or hyperextending) of a limb by putting pressure past what the fulcrum can handle. Torque: a measure of how much the force acting on an object causes that object to rotate. The object rotates about an axis, which is called the pivot point or point of rotation. Force: any interaction that will change the motion of an object. Fulcrum: a pivot point around which a lever turns. Lever: the perpendicular distance from the axis of rotation to the line along which the force acts. Center of gravity: the point at which the system’s whole mass can be considered to be concentrated for the purpose of calculations. 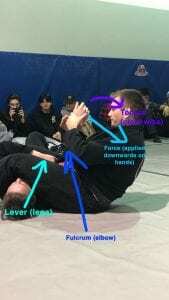 How does a Brazilian Jiu Jitsu practitioner’s understanding of physics (torque) make him or her more effective? A competitor does not have to be very strong or large to win a competition when using torque effectively. This makes it so that everyone, no matter the size or strength, can successfully take an opponent down and win a match. 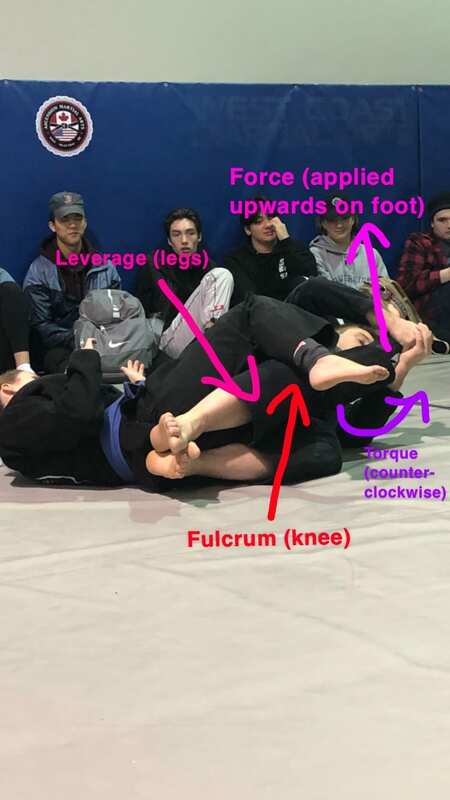 This entry was posted in Grade 12 and tagged jiujitsu19 by zoek2015. Bookmark the permalink.